Odessa is a big city with a small town feel. An energetic and historic port, it has been described as “taking New Orleans and adding the weather of Marseilles, the people of Naples, the shop fronts of Cony Island, the grit of Baltimore, and the architecture of Paris and Rome.” But don’t get too caught up in comparisons, because Odessa is a place like no other. Take a stroll along Primorskiy Boulevard, a UNESCO World Heritage Site that leads directly to one of cinema’s greatest landmarks, the infamous steps from Sergei Eisenstein’s film Battleship Potemkin. Or, head to Deribasovskaya Street, where you won’t find any cars, but you will find plenty of cafés, statues, monuments, and more than a few street performers. You’ll also find the world-renowned Odessa Opera and Ballet Theater in this neighborhood as well as the City Garden, the perfect place to spend the afternoon relaxing under old trees, snacking on pakhlava (the Ukrainian version of baklava). The people of Odessa are known for their fashion sense and their sense of humor. And while we can’t help you tell the perfect joke (ok, maybe just one: What washes up on tiny beaches? Microwaves! ), we can tell you to head to the Seven Kilometers Bazaar, the largest outdoor market in Europe for sartorial finds like leather goods, jewelry, clothing, and everything in between. Built in 1837, the steps are a wonderful place to view the harbor. A monument to the Duke de Richelieu overlooks the grand staircase. The historic landmark was immortalized in Sergey Eisenstein’s classic film “The Battleship Potemkin”. Considered by many to be the most famous and elaborate buildings in Odessa, the Opera House is regarded as one of the best in Europe. The décor is Viennese Baroque with elements of Italian Renaissance and French Rococo. 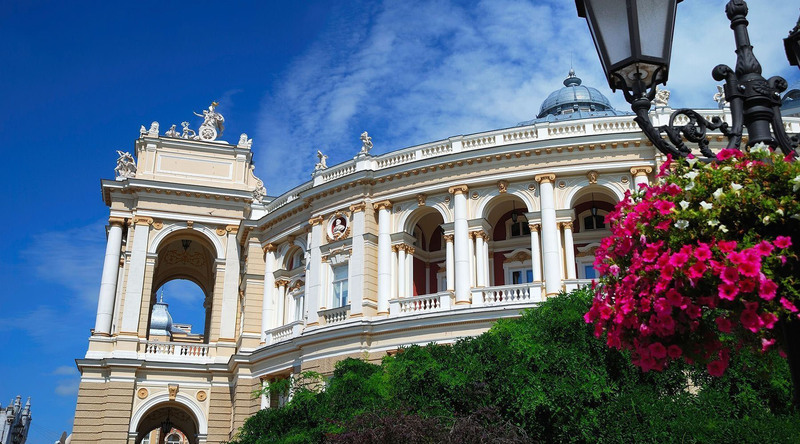 En route to the Archaeology Museum—the first museum of its kind in the former Russian Empire–view the stunning Odessa Opera House. Proceed to Prymorsky Boulevard with the sweep of the Potemkin Steps to the Palace of Count Pototsky, housing the massive Odessa Fine Arts Museum.